It’s raining again in Seattle. It always does at this time of year. I can hear the drip drip drip outside my window and feel an extra bit of cool from the moisture in the air. It makes me put on a hooded sweatshirt, makes me shiver a bit even after doing so. Having set the clocks back, it’s already dark by 5:00, and that brings with it the temptation to curl up under a blanket on the couch and watch an old movie, something seen before, maybe something funny like Spaceballs, or something with a bit of heartbreak like The English Patient, or something with a good speech at the end like Last of the Mohicans. I must admit I love the bit where they’re on top of the mountain with the wind blowing and the sun going down, and the guy is going on about all the future change to come but implying that none of that really matters because they were once there. They stood on top of the mountain. They lived their lives, played their part. That’s all anyone can do. That’s all that matters. It’s the artist who thinks otherwise. It’s the artist who says, “Yes, that’s all true, but just let me get this little thing down.” And the artist hopes that little thing will affect the future, inform the future, maybe even change the future. And that thing might just be a sentence, maybe only a phrase. It could be a photograph, a painting, a sculpture, a chord progression with an accompanying melody. Whatever it is, it’s something that the artist believes has the strength to survive, something that will transcend, something that will live beyond even the mountain and the sunset and the wind. And I sit in my basement tonight listening to the rain, and I think about that scene on the mountain where one Native American passes his knowledge on to two white people, the Native American being the last of his kind. It’s gorgeous. It’s meaningful. It absolves. I can relish in the strength it provides, but I can’t rest easy. I can’t simply die happy and content on a mountain after a life of work and struggle and loss and love. I feel compelled to reach for something more. I feel compelled to leave behind something that is not just biology, something that is purely me and yet external. That’s the struggle for the artist. As a musician, one sees that reaction right away. In the moment of playing a monster E chord, the crowd erupts. The world ignites. The writer does not see that. The writer has to imagine. The writer has to hope and wonder. The writer has to have faith. The writer has to be like that Native American on the mountain, strong in his belief that he was here, that he worked and struggled and made his life, that he mattered. 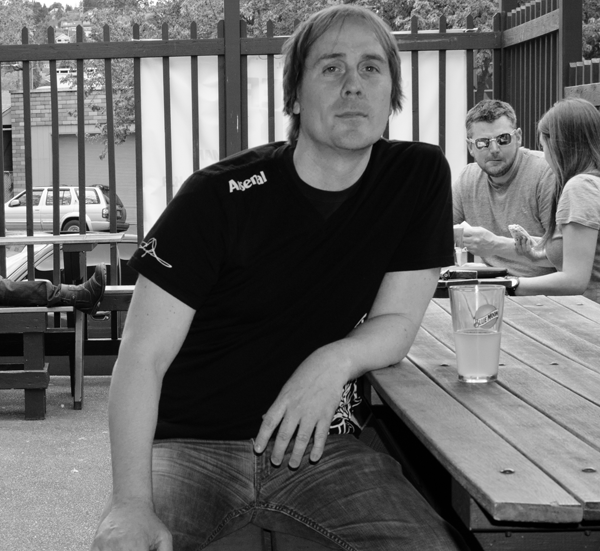 Dave O'Leary is a writer and musician living in Seattle. 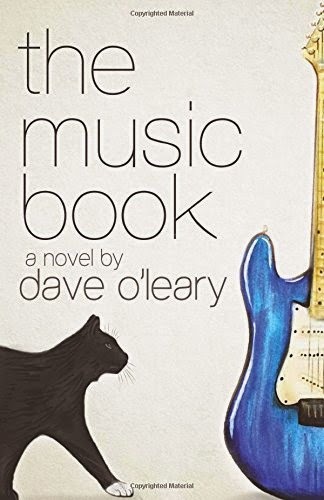 The Music Book, his second novel, was just published by Booktrope Editions.